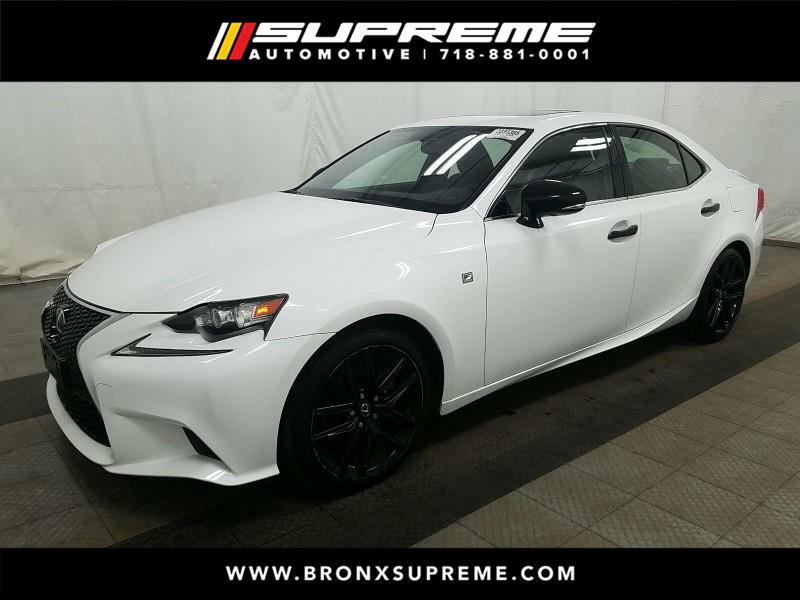 Visit Supreme Automotive online at bronxsupreme.com to see more pictures of this vehicle or call us at 718-881-0001 today to schedule your test drive. Have the best car shopping experience at Supreme Auto Group, with no-haggle pricing, same-day delivery, and 100% guaranteed approval! Choose from our large selection of Carfax Certified Vehicles, 1 Owner Pre-Owned Vehicles, vehicles under factory warranty, and drive off with the best deal the same day! Our experienced in-house financing team works with over 20 lenders to get you interest rates (APR) AS LOW AS 0.01% & TERMS UP TO 84 MONTHS!!! Not only can we get you unprecedented finance options, we also work with $0 cash down! Bad credit? No credit? Doesn't matter! We specialize in cases such as yours, and our dedicated team will help you repair and establish your credit all while getting you into the car of your dreams. Our special Limited Credit Program, First Time Buyer Program, Buy Here Pay Here Program, and Credit Repair Program will put you on track and in a vehicle. We will give you top dollar for your trade in. Contact us today to inquire about these programs, schedule a test drive, or come in for a free consultation or appraisal. We accept USAA, MCU, Navy Federal Credit Union, Nassau Educators Federal Credit Union, North Shore LIJ Federal Credit Union, Teachers Federal Credit Union, Penfed, Geico, Farmers Insurance, Allstate, Statefarm and many more! Supreme Auto Group is founded upon providing the Best Car Buying Experience. Every effort has been made to ensure the accuracy of the information contained on this site, however absolute accuracy cannot be guaranteed. At times, vehicle options, photos, and pricing may be listed incorrectly. We ask that you always contact a dealership sales representative to verify all information in question by calling the dealership directly at 718-881-0001. Dealer and its advertising affiliates cannot be held liable for data that is listed incorrectly. Internet offer must be presented at time of sale. Excludes all prior offers. Available to qualified customers at participating authorized Supreme Auto Group dealers. Not everyone will qualify. Excludes title, taxes, registration, license, document or finance charges. Other fees may apply. Monthly payments and total cost may vary. Subject to credit approval. No security deposit required. All advertised vehicles are subject to dealer availability which may change daily. Certain vehicles listed may no longer be available. Vehicle offers expire 12:01AM daily, pricing is subject to change at any time. Vehicles are sold cosmetically as-is. Additional options such as extended warranties available on all models. Prices may vary depending on mileage and terms of warranty. www.bronxsupreme.com … 718-881-0001 ... 4053 Boston Rd, Bronx NY 10466.